Rare Exclusive Titled Block in Little Green Estate !! 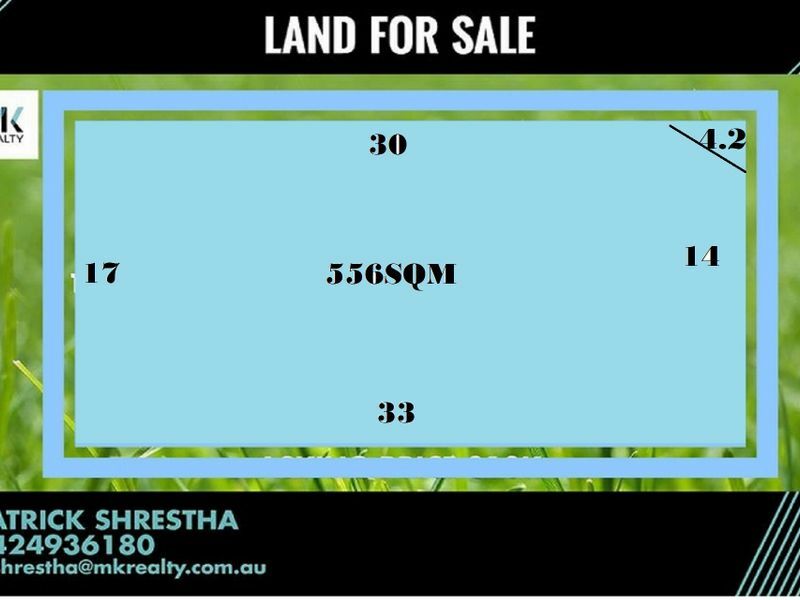 MK Realty proudly presents a rear opportunity to secure a block of land in one of the popular and sold out estate called Little Green in Tarneit.This vacant block provides you with the perfect place to live and entertain your friends and family. You will live surrounded by amenities ready for your everyday conveniences. This East Facing Titled Block located within very close proximity to playgrounds, St John The Apostle School, Tarneit Central Kindergarten, Tarneit P-9 College, Penrose Community Centre and Tarneit Gardens Shopping centre, about 7 minutes drive to Baden Powell College, Tarneit central shopping centre, Tarneit Train Station and Approximately 25 km from Melbourne's CBD. This is an opportunity that cannot be missed. Its absulutely perfect location and a fantastic opportunity for any first home buyer or astute investor. Call Patrick on 0425 936 180 or Arshaf on 0421 432 076 now for more details as this one won't last long.